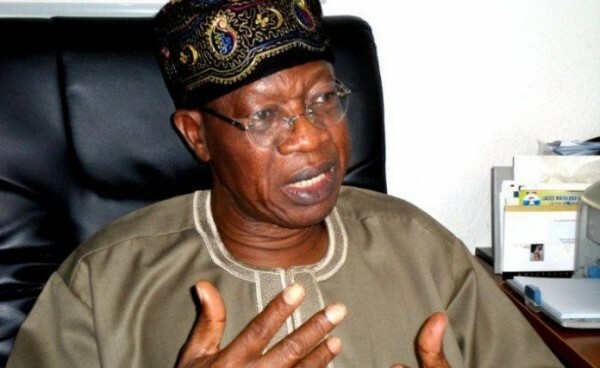 Nigeria’s Minister of Information and Culture, Lai Mohammed, has assured that standards of living of Nigerians will improve as the country exited recession. The minister gave the assurance on Friday in Abuja when he received Broadcast Media Editors in his office. He urged well-meaning Nigerians not to listen to pessimists who he accused of downplaying the significance of exiting recession and classifying it as mere statistics. He said people should not be worried about why getting out of recession had not led to an immediate reduction in food prices. The minister explained that “an economy that is just coming out of recession is like a man who is just recovering from an illness. He said the present administration would sustain and build on what it did to get the economy out of recession through sustained policy interventions in various sectors. Specifically, he said the government would continue to stimulate local production of staples, using initiatives like the Anchor Borrowers Programme and the Presidential Initiative on Fertiliser. Mohammed also disclosed that the government would continue the efforts to ensure that inflation rate is further brought down. He added that government would strengthen building-up of foreign reserves and ensure the sustenance of its Social Intervention Programme. He assured that improvement in power generation, which had increased from 2,690MW to over 6,000MW, would be accelerated. The minister warned against the politicisation of the emergence from recession, saying “to naysayers, I will say this issue should not be politicised. “An issue that affects the welfare of our citizens should not be toyed with. Let us all appreciate what this administration has done in returning our economy to the path of positive growth and then support and encourage it to do more. Earlier, the leader of the delegation, Mr. Tijjani Yunusa, had pledged the partnership of the group with the Federal Government in its effort to develop the country.